Fatal accident due to car crush – Kenyatta University TV (KUTV). All Rights Reserved. Tributes have been paid to a British father who died along with two of his children in a car crash on a French motorway. 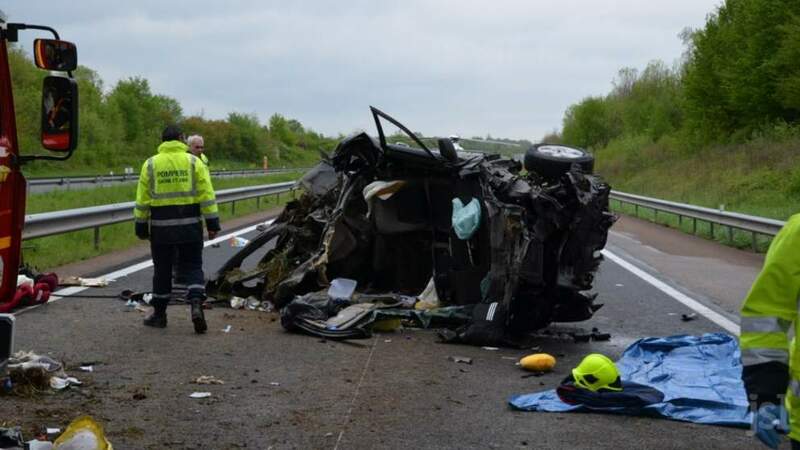 John Crompton, 31, was driving the family’s Nissan from Dijon towards Bourg-en-Bresse when it reportedly veered to the right before going through a barrier and into the wall of a bridge over the road. Mr Crompton’s wife and youngest child were airlifted to Lyon after the accident on the A39 near Beaurepaire-en-Bresse. They were taken to the Edouard Herriot hospital in a critical condition.The accident happened yesterday at around 7.30am and the motorway was closed in both directions until 11am.The father was trapped inside the wreckage and died of a heart attack minutes after being released while tyhe two children died on the spot. The cause of the accident was not immediately clear, although an investigator said the father may have fallen asleep at the wheel or been distracted.No other vehicles were involved in the crash and the weather and road conditions were apparently good.